Okinawa has many tropical fruits, but the famous out of the many and also popular for souvenir is the gorgeous “Mango”. 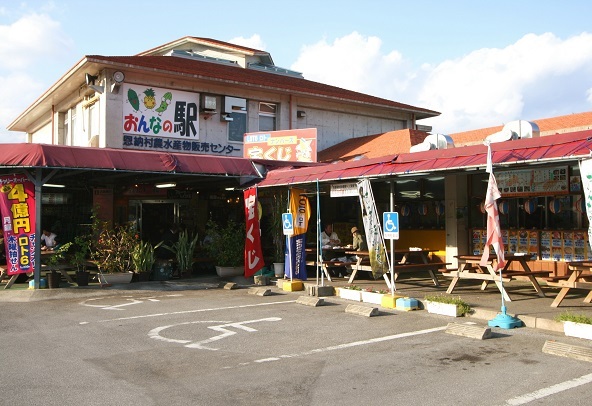 Mangos produced in Okinawa are in-season between mid June throughout mid August. Okinawa’s hot sun helps the mangos becomes fully ripened red. The fully ripened mangos are very juicy, and it has a very smooth taste. You will love the fresh scent and the rich sweetness. It’s so delicious that if you try it once, you will definitely be coming back for more. You should definitely try the actual fruit when it’s fully ripened, but you also want to try the popular desserts such as mango puddings, cakes, and ice creams. Here’s a recommendation and advice on how to look for a ripened and delicious mango: Look for mangos with bright color, glossy skin, and plump round shape. Wrinkled or folded skin, or if you feel that the skin is too soft when you hold it, that means that the mango is not fresh anymore (recently harvested fresh mangos have white powder on its skin). How you cut the mango will also determine how it will taste. Cut the mango into 3 pieces along its flat seed. Cut the flesh of the mango (with the skin on it) from the inner side into a dice shape and turn it inside out. 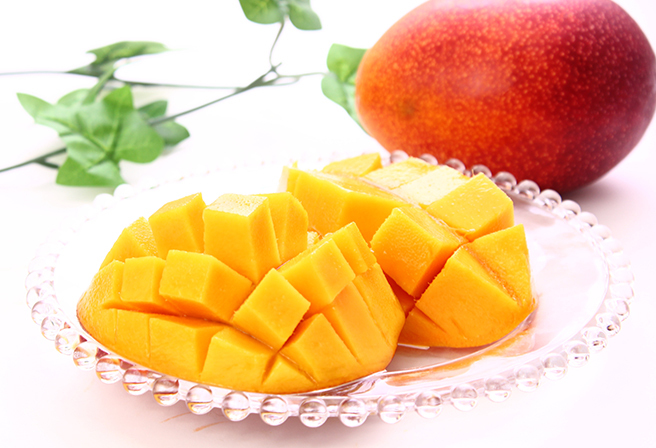 The appearance is beautiful, and the mango can be easily eaten with a spoon. Recommended places where you can eat fresh mangos.